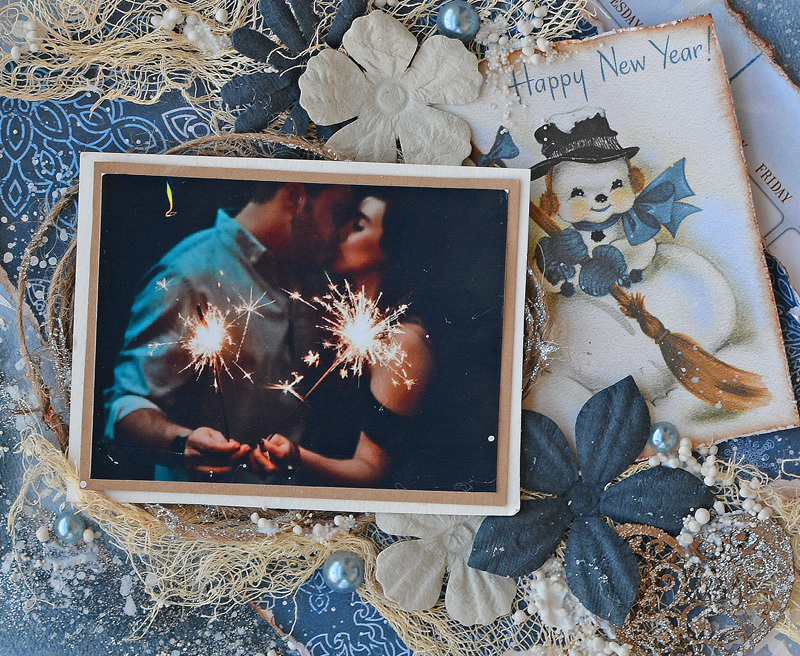 It's Marilyn here to share a layout that I made with the new On This Day collection! 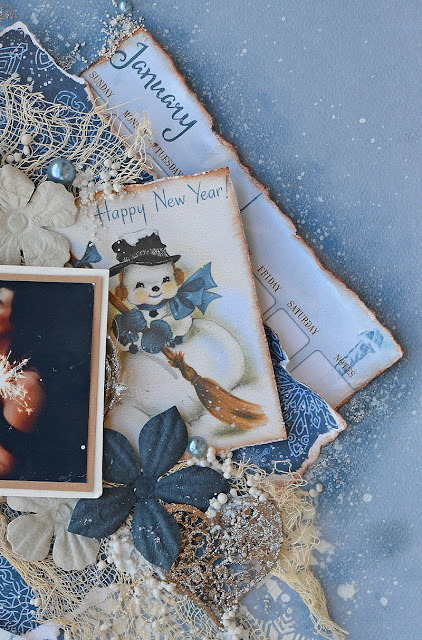 Only a few weeks left until the new year so I chose the January paper to create a layout about it. My base paper is the Country Blue Double Dot. I applied textures with the Winter Fun Stickable stencil and White Gesso Primer Paste. 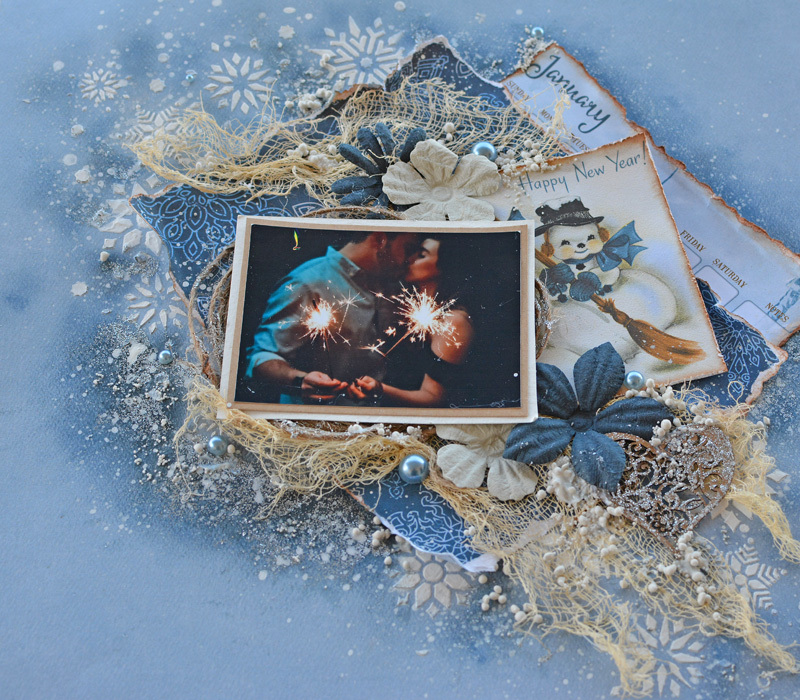 I cut some cards and images from the January paper to create layers on my page. 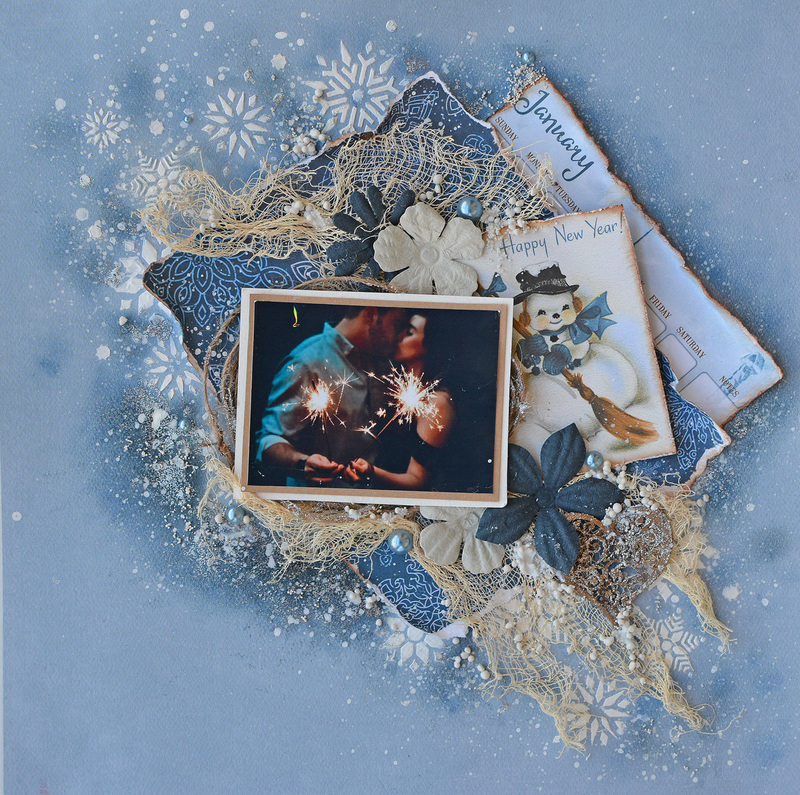 I added some flowers from the Denim Blue Bouquet. 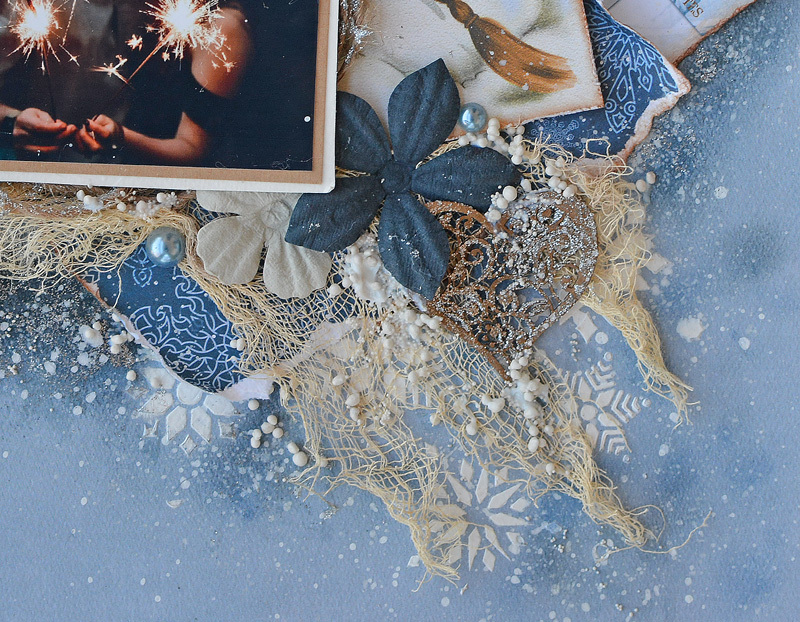 The 3D Powder gives the snow effect so adhered it with the express glue in some areas. I applied silver glitter paste over the Heart Laser cut chipboard. I put some blue pearls and added some white paint splatters. I love this layout! I tend towards a monochromatic look, so this is perfect for me, and the various shades of blue with the snowy white added in make for a delightfully chilly winter scene. On This Day looks like a must-have collection for me! As if that LO wasn't romantic enough with that gorgeous photo, you have used the stenciling and papers and embellishments to create the perfect background for it. Its such a pretty design! for all. May this New Year bring you joy and laughter. To be happy is the greatest wish in life. Thanks for sharing Happy New Year Whatsapp Status 2018 for All.